Get notified when Steve Harvey tickets are available! 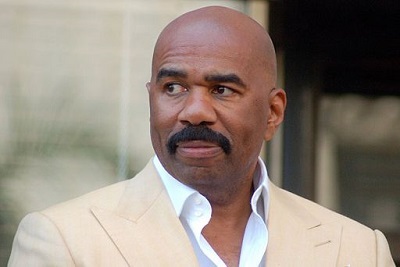 Steve Harvey is an America television host, comedian, radio personality, author, producer and actor. Currently he is hosting “Little Big Shots,” “Family Feud,” “Steve Harvey Morning Show” and “Steve Harvey Talk Show.” Steve Harvey is the author “Straight Talk, No Chaser: How to Find and Keep a Man,” as well as the author of the 2008 success “Act Like a Lady, Think Like a Man.” He once hosted “Showtime at the Apollo” and was on the “Original Kings of Comedy.” A 14-time NAACP Image Award Winner and a three-time Daytime Emmy Award winner, you can get Steve Harvey tickets below to see him in person.